If you are 28-31 weeks along, there is still a lot of time for baby to turn. Most babies turn head-down between 28-32 weeks. Above all, RELAX. Walk, keep good posture, and do some inversion exercises for ideal positioning of baby and check out turning options in case s/he doesn't turn by 32 weeks. You can get some of your more pressing questions answered now as well. If you are 31-35 weeks along, it is time to be more actively trying to [~]a:link~http://www.betterbirthblog.org/breech/turn-a-breech/~turn baby[~]. Keep in mind, though, that at 35 weeks there is still a 45% chance your baby will turn on it's own, without you doing anything! This is generally seen as the best (most successful) time to turn a breech baby. Avoid squatting as this might encourage baby to drop. 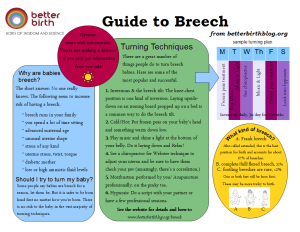 Get some questions answered and preview your [~]a:link~http://www.betterbirthblog.org/breech/turn-a-breech/what-if-my-baby-wont-turn/~birth options[~] in case s/he doesn't turn. 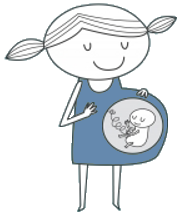 If you are 36-40 weeks along, your baby is among the 3% of babies breech at term. The likelihood of baby turning on its own at 37 weeks is about 12%. Still possible--some babies turn head down in labor! Avoid squatting as this might encourage baby to drop. Try as many of the [~]a:link~http://www.betterbirthblog.org/turn-a-breech/~turning techniques[~] as you feel comfortable with. Think about [~]a:link~http://www.betterbirthblog.org/breech/turn-a-breech/external-cephalic-version-ecv/~ECV[~] and make some [~]a:link~http://www.betterbirthblog.org/breech/breech-f-a-q/how-do-i-decide/~decisions[~] about the best way for your baby to come into this world. If you are at term, or have already decided how to birth your baby, get tips for a [~]a:link~http://www.betterbirthblog.org/breech/vaginal-breech-birth/~vaginal breech birth[~] or [~]a:link~http://www.betterbirthblog.org/breech/cesarean-breech-birth/~cesarean birth[~], read up on [~]a:link~http://www.betterbirthblog.org/breech/breech-f-a-q/will-my-newborn-be-different/~breech newborns[~], [~]a:link~http://www.betterbirthblog.org/contact/~submit your story[~] for the benefit of other parents, or read up on other breech information. Also, it is still possible to [~]a:link~http://www.betterbirthblog.org/breech/turn-a-breech/~turn the baby[~]. Your baby will be in your arms very soon! 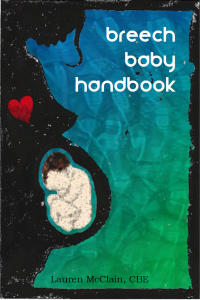 If you just discovered your breech, or your baby flipped, have a look around for information about your [~]a:link~http://www.betterbirthblog.org/breech/breech-f-a-q/~most pressing concerns[~]. Read some [~]a:link~http://www.betterbirthblog.org/breech/breech-birth-stories/~breech birth stories[~], try a [~]a:link~http://www.betterbirthblog.org/breech/turn-a-breech/~turning method[~], and try to relax! Consider writing your story to help others. If you are pregnant and hoping for optimal positioning of baby, maintain good posture, walk frequently, try regualr rebozo sifting, and check out [~]a:link~http://www.spinningbabies.com~spinningbabies[~]. It is also a good idea to familiarize yourself with breech protocols since sometimes women go into labor and have a surprise breech. This way you can still make informed decisions. Also, remember to ask your provider if your baby is breech at 32 weeks. They sometimes do not tell you this, and you want to have as much time as possible to try to learn and turn her if she is. Get a FREE Fact Sheet! …right here on the website. Access to Everything Breech with the ebook! simple certification program for professionals!